This unassuming little hideaway doesn't shut down the kitchen during the day, so when most restaurants are sweeping the floors, you can take refuge in its tasty pizzas and pastas (the Chicana pizza with jalapeños is especially loved by fans of spicy hot food). 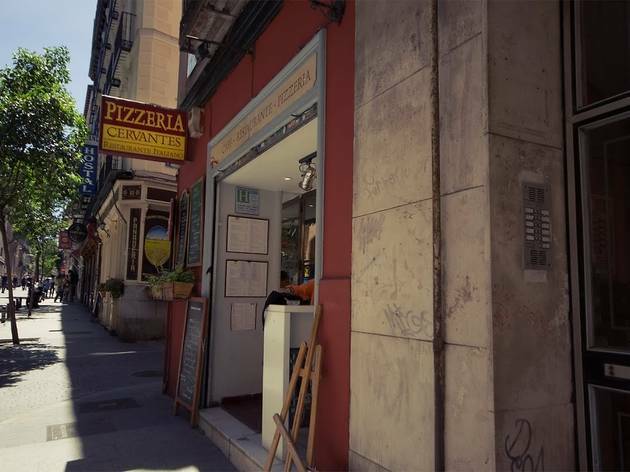 Despite the name, this place exceeds the definition of pizzeria, with a long list of salads, crêpes, risottos and standard fare such as roast beef and solomillo. 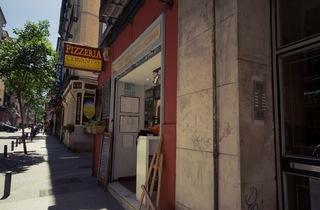 The neighbourhood regulars are fans of the cheap breakfast deal and love to linger over café con leche and the papers. Main courses €8.50-€10. Set lunch €10 Mon-Fri.
Open 1.30-4.30pm, 8.30-12.30pm Mon-Thur, Sun; 8.30pm-12.30am Tue; 1.30-4.30pm, 8.30pm-1.30am Fri, Sat. Closed 2wks July.